Being a great salesperson is more than just having the right tactics or being able to “sell anything.” Great salespeople are great because they are exceptional business people. Successful salespeople have a wealth of knowledge in all aspects of their company and how the business world works on a larger-scale level. They are well-rounded and can derive value from all areas of their company and business world. This book describes a new approach to outbound calling and why it works - imagine, an outbound strategy that doesn’t involve cold-calling? Ross describes this new method, which he calls “Cold Calling 2.0” in depth and explains how, when, and why you should use it. We’ve seen it in today’s world: cold-calling doesn’t yield the results you want. So rather than doing the same thing over and over and hoping for new results, be ahead of the curve and use a new method that’s proven fruitful. Great salespeople are not predictable in their selling method - they think outside the box. 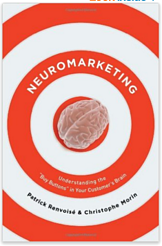 In Neuromarketing, Renvoise argues that great salespeople can capitalize on basic psychological knowledge in order to understand their customers and encourage them to buy. Customers think about themselves first - how will this product or service benefit me? What do I need? Does it meet these needs? So, he explains, in order to sell effectively, you need to make sure you’re positioning your product so that they are at the center of the value proposition. A must-read for all salespeople, this book will get you out of the mindset that you need to push the product benefits in order to close a sale. People buy emotionally, and this book will teach you how to cater to those emotions. 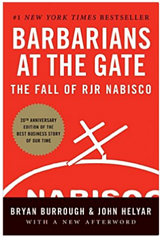 Described by many as “the best business story ever,” Barbarians at the Gate is the tale of the leveraged buyout of RJR Nabisco, which was ultimately completed by KKR in the late 1980’s. The best salespeople can speak intelligently about a variety of business scenarios, and Barbarians provides a vital knowledge and vocabulary along with a thrilling story that makes it a hard book to put down. 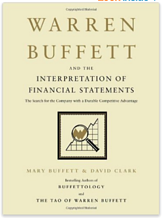 Written by Buffett’s granddaughter, this book is a comprehensive diagnostic of the companies he bought and his reasons behind the purchase of each. It specifically details his insights into each company’s financial statements and explains what he looked for in these statements to help make the most informed decision. Understanding how to derive value from a long list of numbers and financial statements is what sets good businesspeople apart from the rest. The real aces interpret all kinds of analytical and financial data, weight it, and use it as leverage when closing a sale. Okay, while we admit this book has its fair share of questionable morals (to say the least), it shines a light on the fast-paced, adrenaline-inducing world of sales. 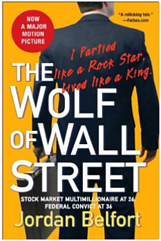 One of the most famous names in finance in the modern era, Belfort details his antics while running sales for an investment firm in New York. While we wouldn’t say you should follow Belfort’s advice about team bonding and daily to-dos, one thing is for sure - if this book doesn’t make you love selling, nothing will. 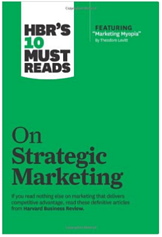 This anthology includes the top 10 best papers about strategic marketing published by HBR. This book is an absolute must for understanding marketing, its relationship to sales, and how to fully leverage your marketing strategy to gain paramount success. It includes the popular “Marketing Myopia” and “Ending The War Between Sales And Marketing” papers, but that’s just the beginning. A wealth of knowledge for those starting their journey or seasoned vets who want to stay informed, this is a must for knowing how marketing works. 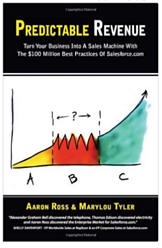 These reads will take you from the average salesperson who is a low volume order-taker to a sophisticated selling machine. Being a great business person, understanding how the business world works, and knowing what each facet of a company does is what will propel you to be an impactful salesperson. It’s not your selling techniques that will get you the furthest, it’s your business knowledge. Now that you’ve made yourself into a well-rounded business person, are you ready to take your sales to the next level? Download our free eBook to discover how to take your sales program from 0 to 60 in no time.